Pure, unadulterated techno. Three words that perfectly describe the stunning progression, hallmark sound and promising future of production and performance mainstay Brian Sanhaji. There are a multitude of other adjectives that could be applied to Brian Sanhaji's multi-faceted career: 'dedicated' to mark his 15 years on the scene; 'raw' for the devastating analogue beats that he regularly deploys; 'seasoned' in respect of his experiences as a label owner, collaborator and mastering engineer. From his first forays in Frankfurt to sets for clubs and festivals around the globe, to acclaimed releases and successes at the controls as a technician, Brian Sanhaji has always remained a beacon of commitment to the techno cause. In the earliest days, a young Brian stumbled upon across a music program on a friend ́s Amiga500, and this discovery spurred on a desire to develop his own sound. The young innovator began experimenting with hip hop beats, before an eye-opening gig by The Prodigy took him on a tangent deep into techno. Under the pseudonym Relic he released his first two records, No Silence and The Passion, for the label Triebtäter. Intensifying his presence within the techno community, Brian established Enable Recordings to showcase his own productions with complete autonomy, and spreading his influence further he was invited to release on labels like Punkt Music and Definition Records. In November 2008, Brian's long awaited debut album Stereotype was finally released on his all-time favorite Techno label CLR, prefaced by the single Cortosis, which came packaged with a remix by CLR head Chris Liebing. Reviews touted the album as “a stylistically versatile, entirely club-oriented record with traces of minimal, house and dub, always true to its techno origins.” Not one to rest on his laurels, Brian founded a new label Sonata Music that same year, showcasing deeper production abstractions; in 2011 he diversified again with Egoton, another imprint and a passion project to host his most muscular and upfront techno workouts. As with as for many of his contemporaries, the legendary Frankfurt club Omen served as a source of inspiration for Brian, and the spirit of that seminal space has continued to inform his haunting live sets. Brian's organic sound is realised with his treasure trove of analogue equipment, and he never fails to deliver a thrilling live performance. 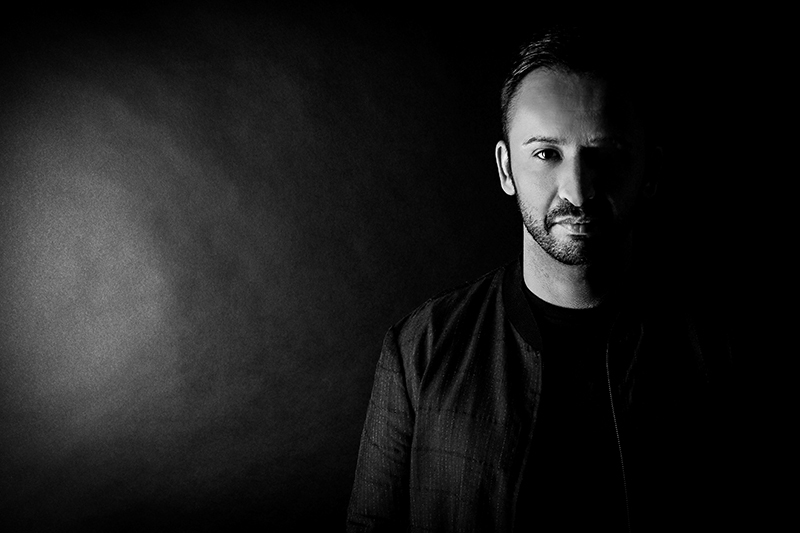 After joining CLR Bookings in 2005 he became one of their most successful core artists, and in early 2015 he joined the roster of TW Artist Management; he now boasts a schedule that can take him from Time Warp to Detroit's Electronic Music Festival, to Berlin's Berghain and Ibiza's Spinclub in the space of one year. When Brian is not touring, producing or remixing, he also works as a highly successful mastering technician for clients like CLR, Cocoon Recordings and Spinclub Recordings. As a true multi-talent with a restless spirit - check his most recent EP for Detroit label Blank Code, or his upcoming release for Drumcell's label Droid - Brian Sanhaji proves that even with his wealth of experience, he will never exhaust the restless curiosity that exists within his own techno artistry.